The lights weren’t my doing, but sure, I’ll take credit. 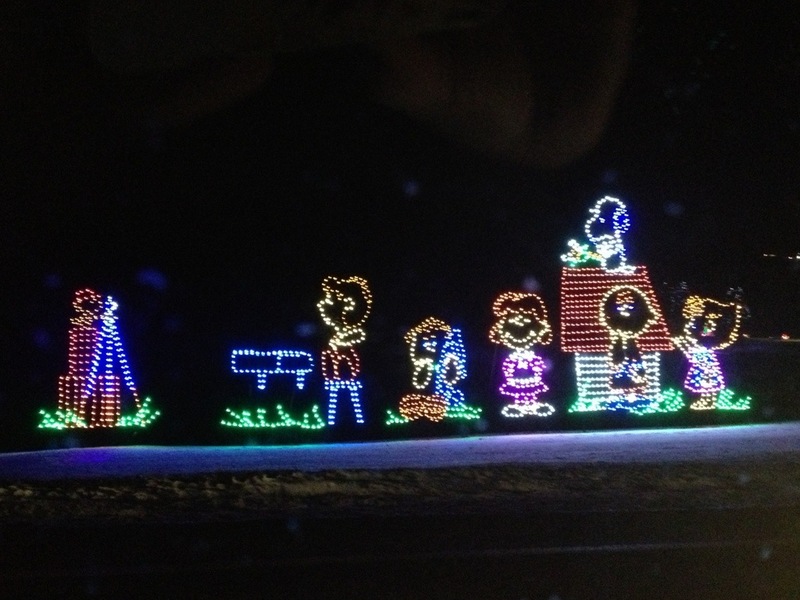 It was clear that a Christmas lights outing was in order. 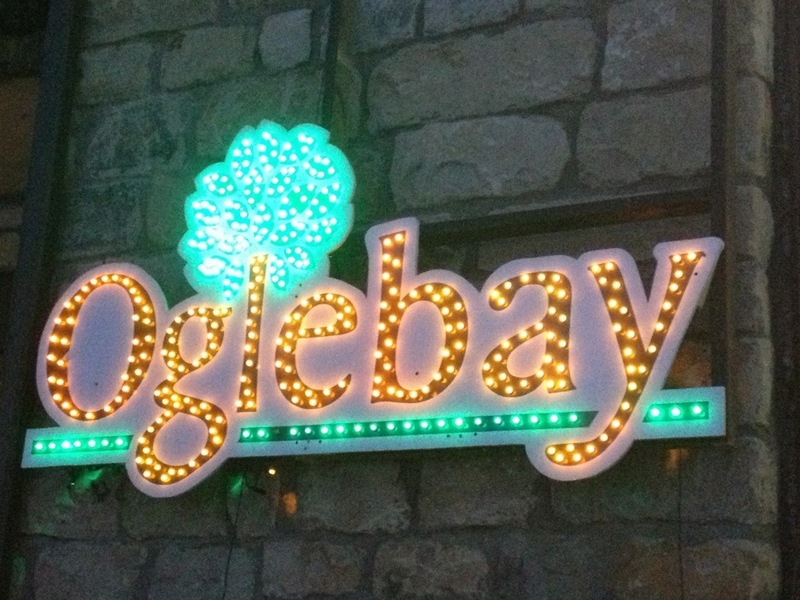 Friends who have grown up near Pittsburgh have shared happy memories of viewing the lights at Oglebay Resort in Wheeling, WV. I’m always up for a drive to a town that has a Tim Hortons, so off to Wheeling we went. 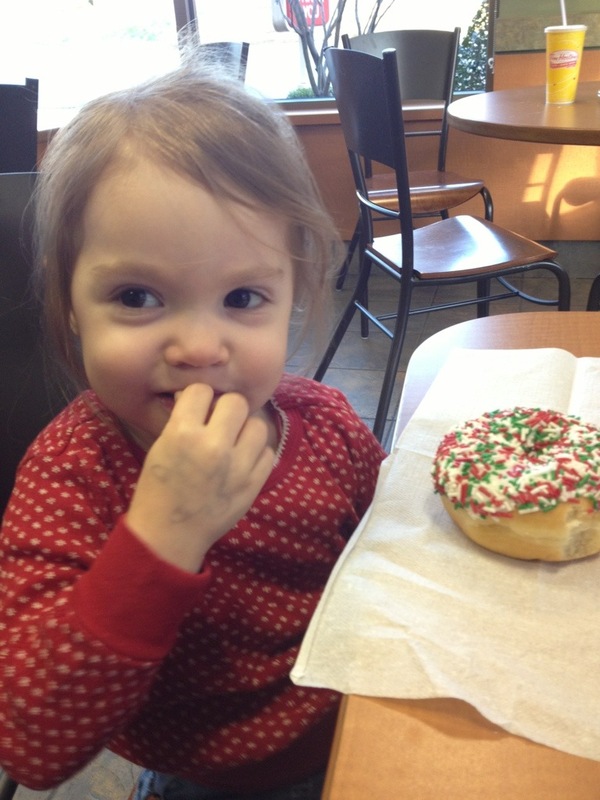 And yes, we did stop at the Tim Horton’s for donuts. Our timing for this outing was coincidentally perfect. 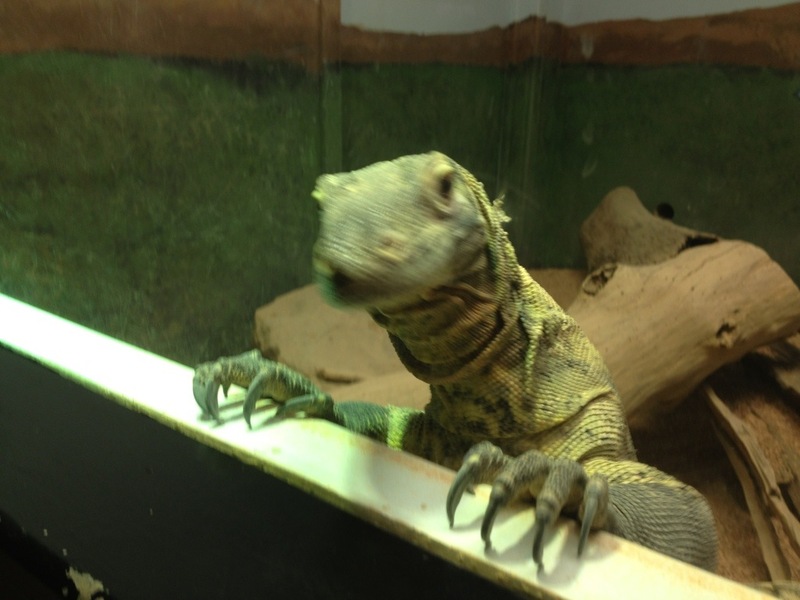 We arrived around 4pm, and had time for Baby Beez to check out the reptiles and small animals in the Good Zoo. 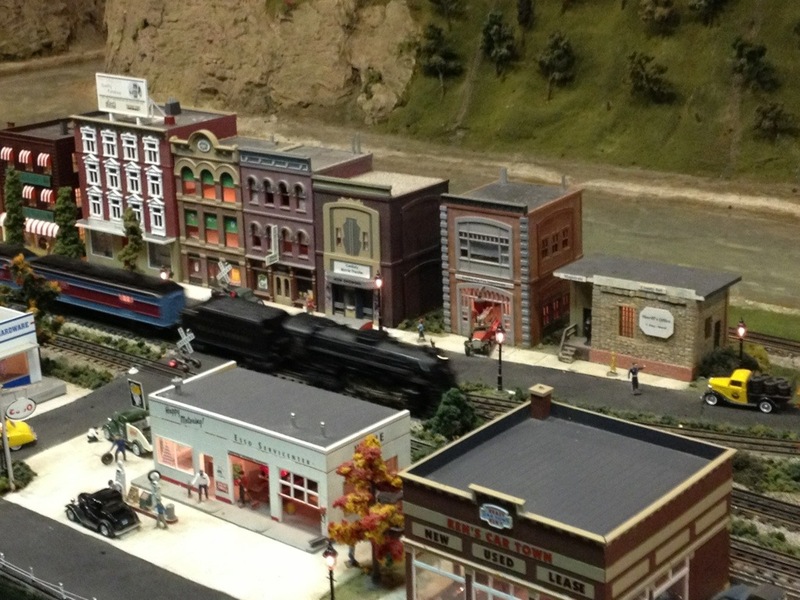 We also checked out the miniature railroad. 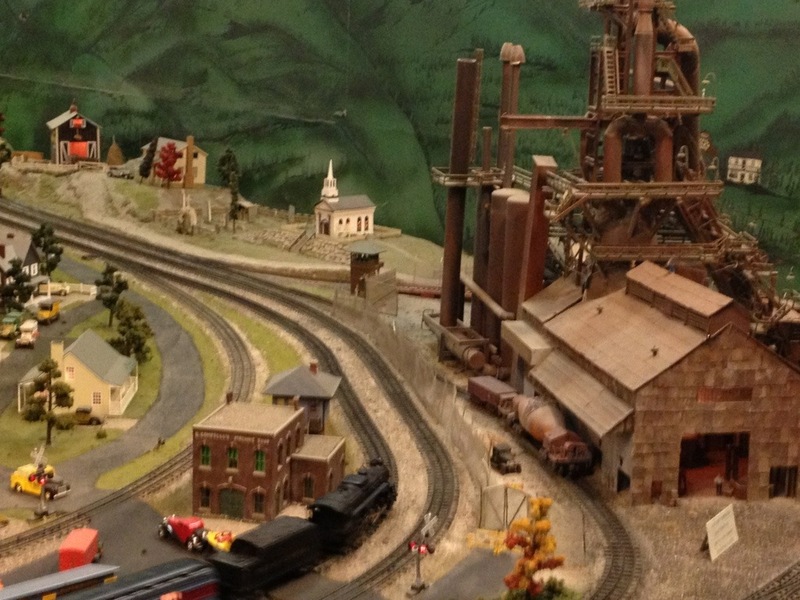 This was also a big hit with my Thomas the Tank Engine loving toddler. 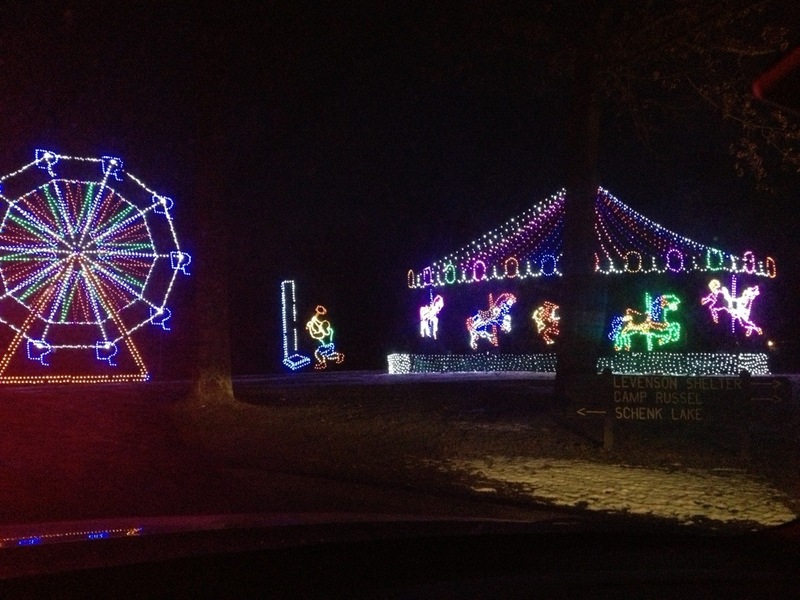 A little before 6pm we hopped in the car and drove through the resort to see the lights. Starting right at sunset was ideal timing, we moved steadily through the park. By the time we were leaving, there was a huge line that stretched all the way down the hill. I don’t think anyone in our car would have had the patience to sit through all that. My favorite part of this outing was that it was an activity we could share in. 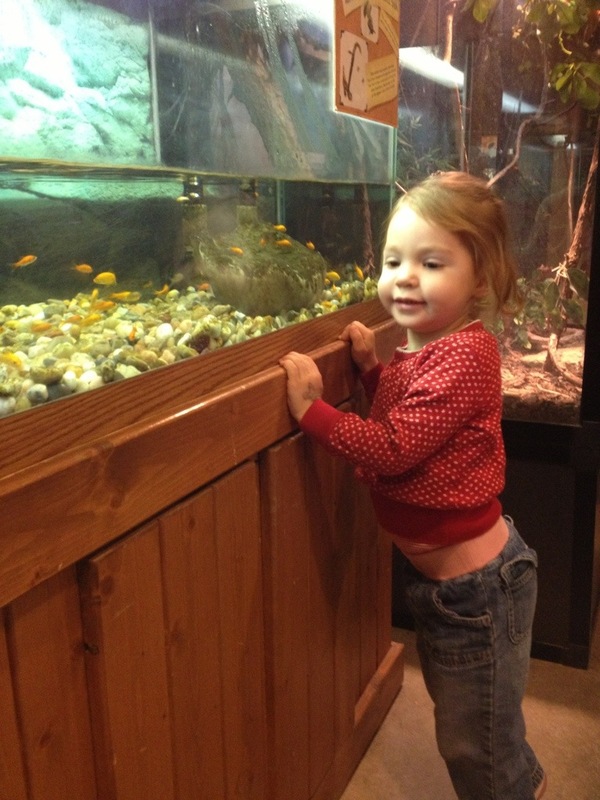 Most of the activities we do are either grown up activities where we bring Baby Beez along (and hope she cooperates), or they are kid activities that don’t offer so much for grown ups. 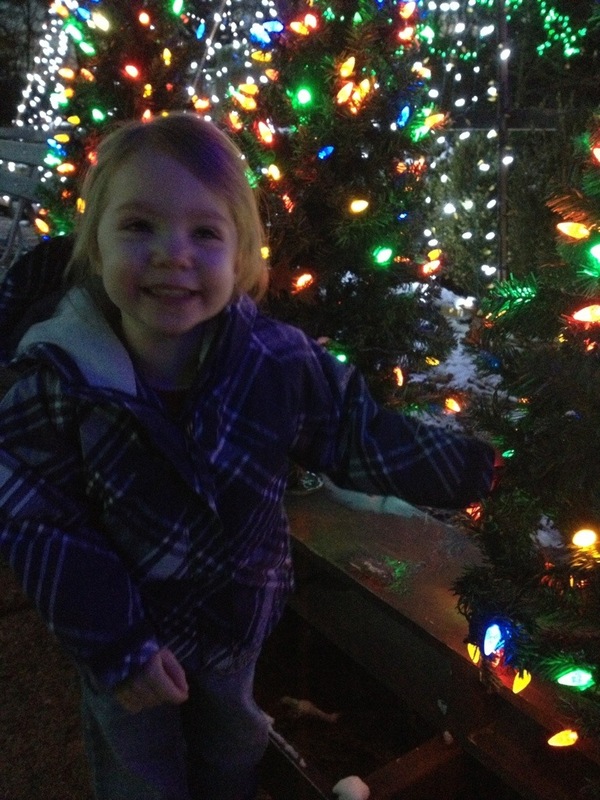 Mr. Beez and I aren’t totally crazy over Christmas lights, but we did both have an enjoyable time, and found that Oglebay’s holiday attractions are well suited for both kids and grown ups. 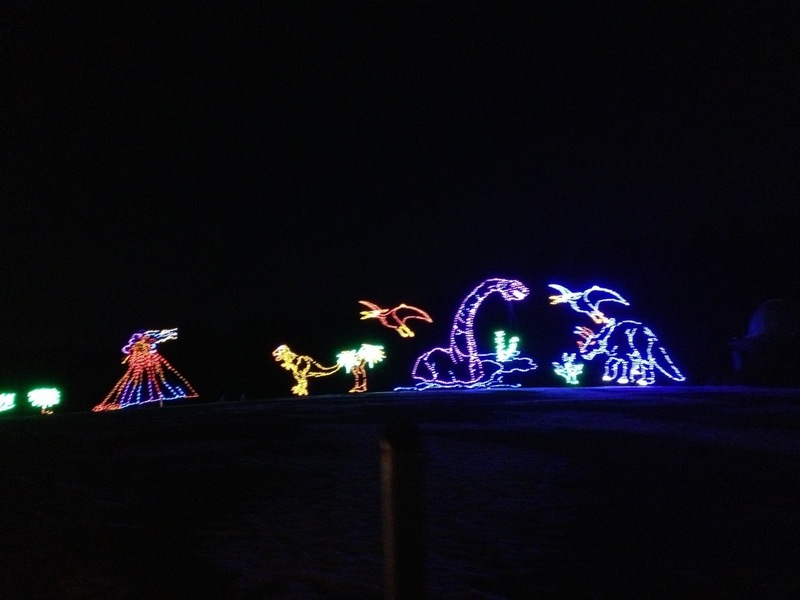 Oglebay’s Winter Festival of Lights is running through January 6. It’s well worth the hour drive from the ‘burgh. Happy holidays, yinz!! During my Sunday morning routine of reading a million different social media sites, I came across a tweet from I Heart PGH advertising Kids Days at Schenley Plaza. 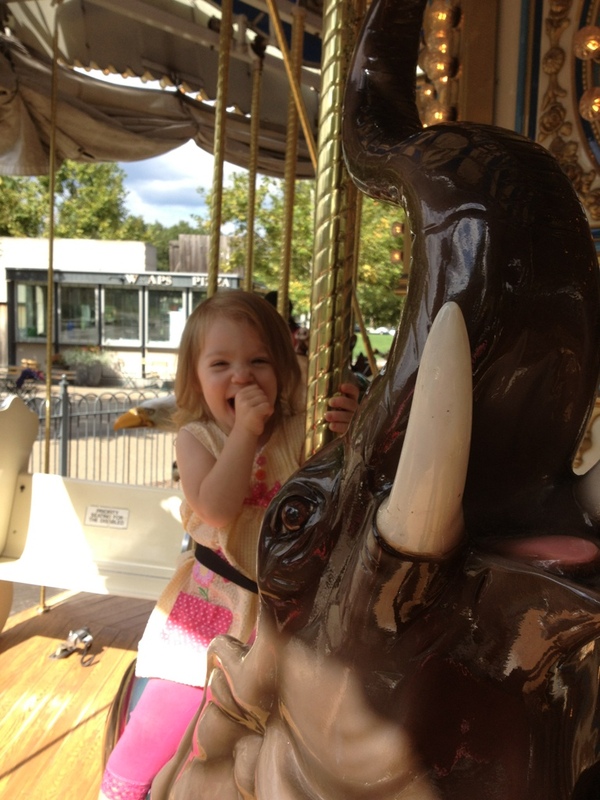 I’ve been meaning to take my carousel loving kid there for a ride, and this was a perfect opportunity to let her ride to her heart’s content for FREE! 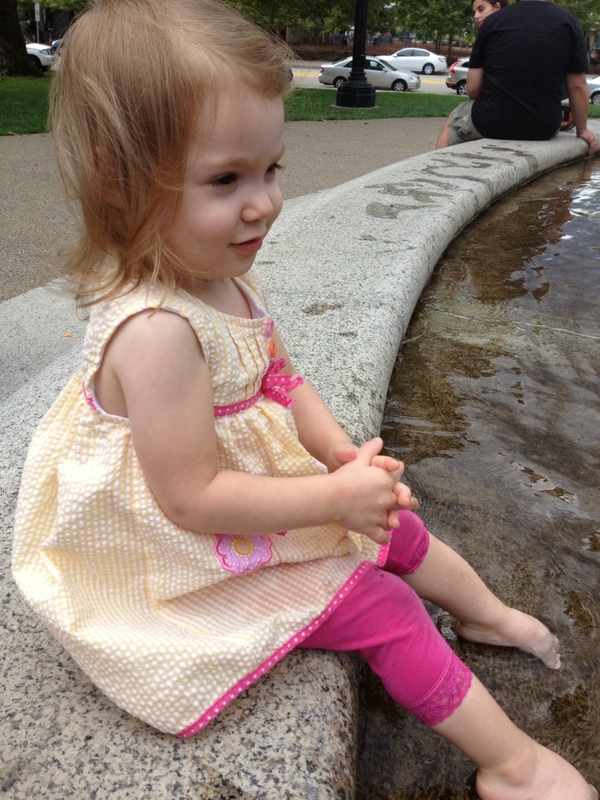 We splashed in the fountain! 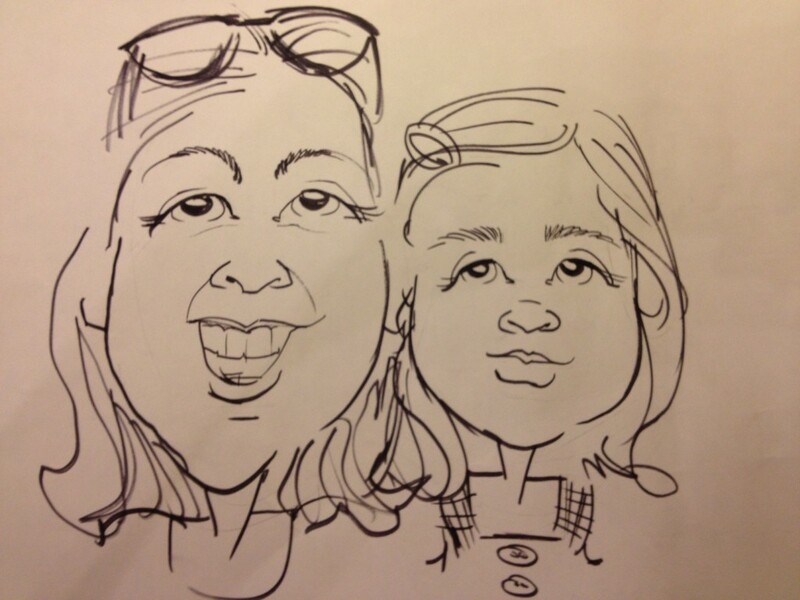 and we even had a caricature drawn! The next Kids Day is September 9. 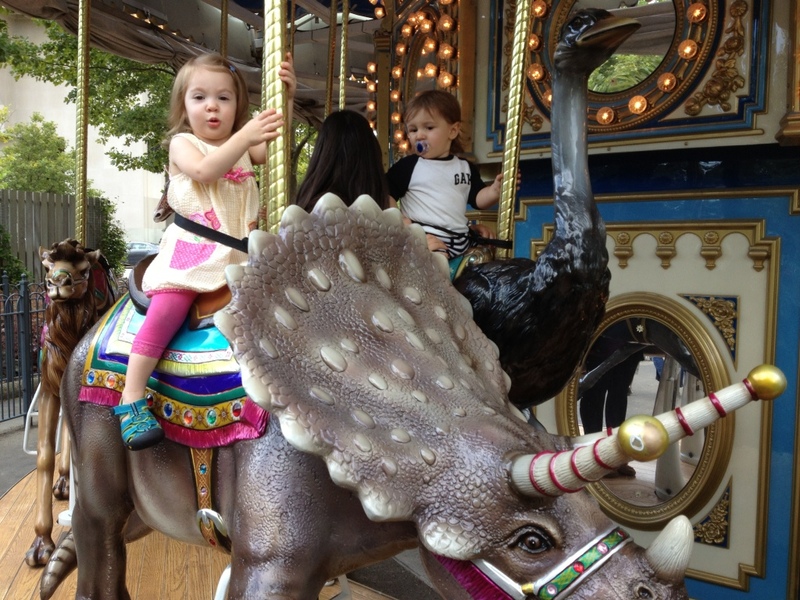 All the activities– face painting, caricatures, entertainment, and carousel rides– are free! Baby Beez is TOTALLY into trucks and buses right now. 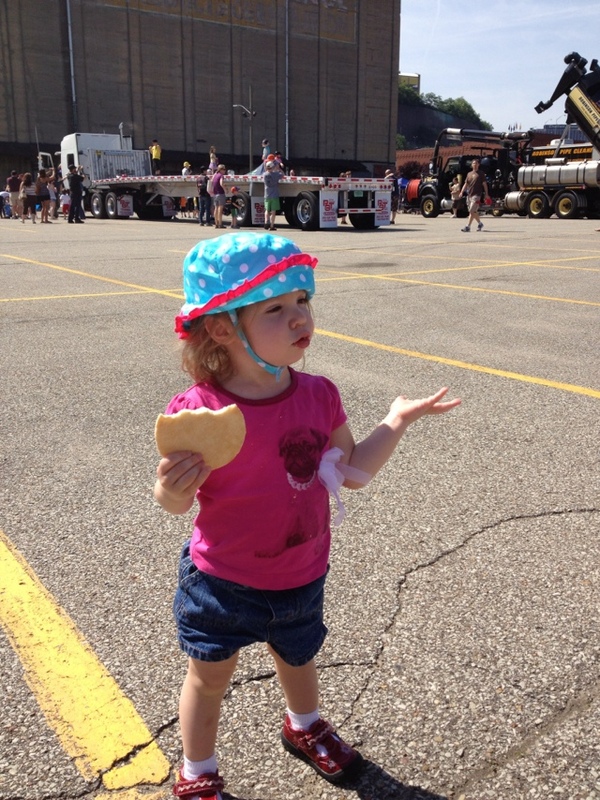 Every time she sees one go by, she gets all excited and squeals and waves and goes “BEEP BEEP BEEP.” When a friend of mine posted on FaceBook about the JLP’s Touch a Truck event this weekend, I knew it was a “must do” for us. I had heard about this event before, but didn’t realize how huge and fun it is! I always assumed that they just got one fire truck and let kids climb all over it. 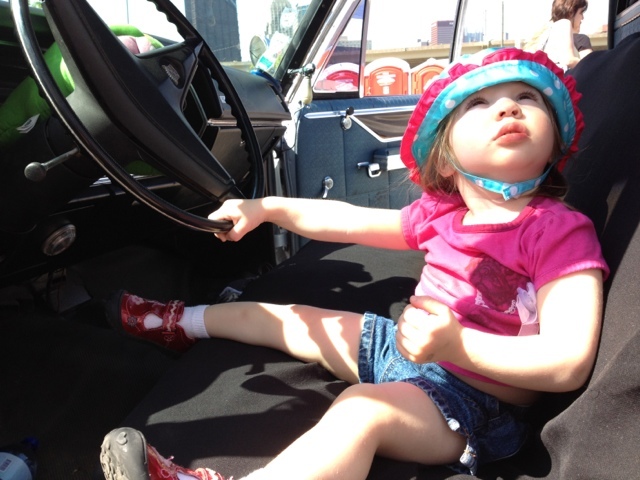 Sure, kids would love it, but I couldn’t be bothered to haul out to the Strip District on a busy Saturday just so Baby Beez could see a fire truck. 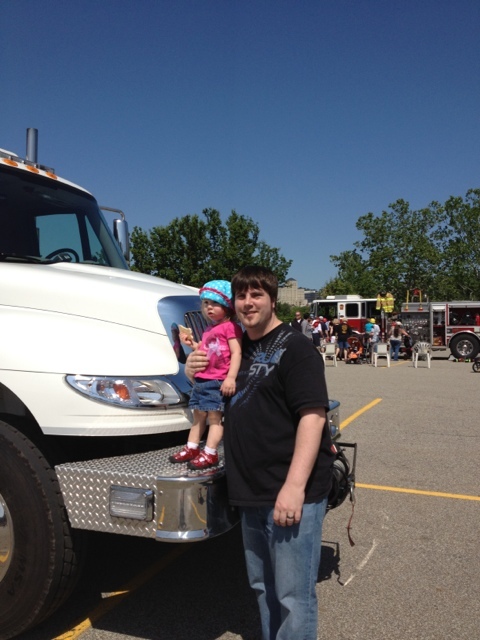 Boy was I wrong, there were tons of different trucks there, all for the kids to climb in and on and around. There were a couple fire trucks of course, but also the Bomb Squad truck, a SWAT truck, a monster truck, the ATF truck, a Brinks truck, and a ton of other ones too. 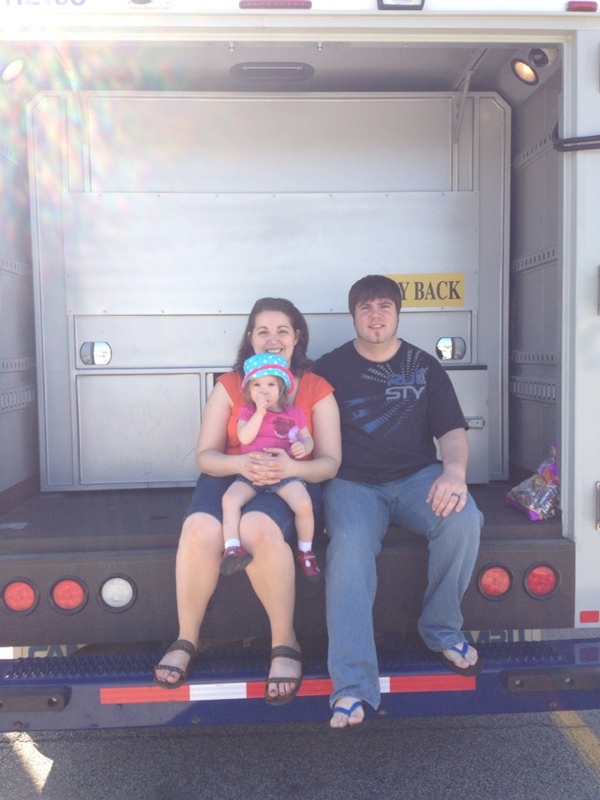 What truck should I see next? Mr. Beez and I had just as much fun (if not more) than our little one. 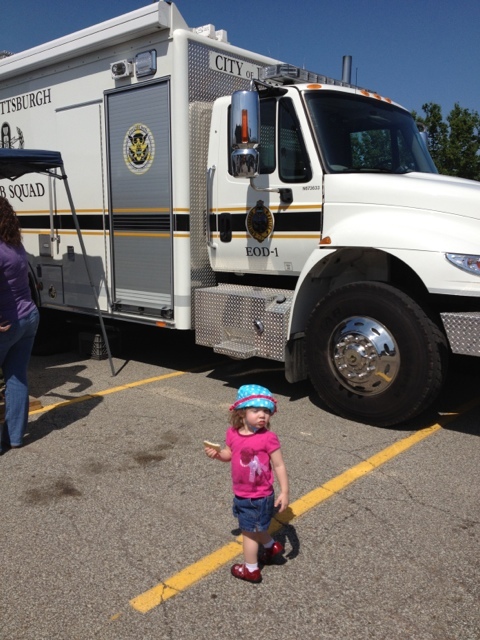 It was especially cool to see the Bomb Squad truck and SWAT truck up close. Sure, it was PLENTY noisy, with all the kids honking the horns, but the JLP does provide ear plugs. 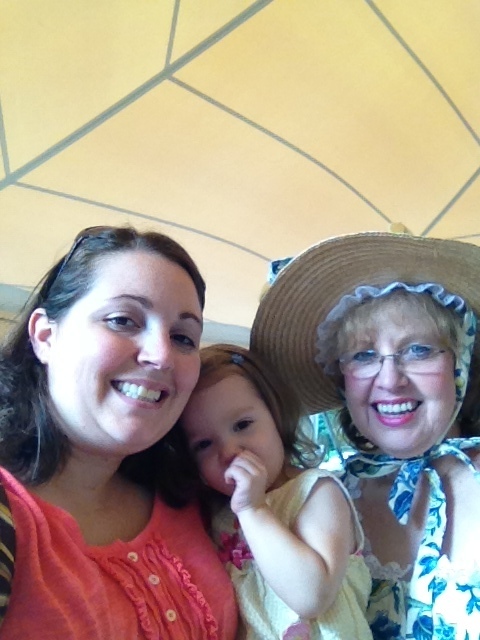 The JLP puts this event on annually, and it’s the perfect kind of event to entertain kids in a range of ages. Kids from age 1 to age 12 will all have a great time. Hope to see you next year! 30 Before 30: At the Drive-In! This weekend has been b-a-n-a-n-a-s. It’s been a nice weekend, but nonstop. Around 7pm today, we tossed Baby Beez in her crib, and Mr. Beez and I both conked out on the couch in front of the TV. I awoke just in time for Game of Thrones (phew!). I thought of writing about our whole weekend, but that would take too long and make me even more tired. Part of the reason we were so tired was because we caught a double feature at Dependable Drive-In on Saturday night, and didn’t get home until about 2am. Baby Beez, of course, woke up right on time at 7am today, so I’m a little (lot) groggy. We had such a fantastic time at the drive in last night! In our years before Baby Beez, Mr. Beez and I went to the movies all the time. It wasn’t unheard of for us to go to the theater twice a week. Even though we love the movies, it seems like an awful lot of fuss to arrange for a sitter just to go sit in front of a screen for 2 hours (especially when we can just watch the same thing in our own house on OnDemand in a couple months). Some fellow movie-fan parents suggested to Mr. Beez and I that we go to the Drive In, where we can enjoy first run movies, without the hassle of arranging for a sitter. The arrangement worked out perfectly. The first movie doesn’t start until the sun goes down (nearly 9pm), so in theory Baby Beez would be asleep by the time we got there. She actually stayed up and watched the full first movie (What to Expect While You’re Expecting). She didn’t fuss at all, she just snuggled with a blankie and babbled a bit to herself. Luckily, she fell asleep before the 2nd movie, (The Hunger Games). I didn’t mind her seeing the first movie, because there’s no violence, but that was certainly not the case with the 2nd. The drive in itself is a little gritty, but it’s a DRIVE IN. That’s how they are. You’re not paying for luxury rocking seats or upscale concessions. The awesome thing about the concessions is that they are CHEAP! I got a large soda and a medium popcorn for $5.36. AWESOME. I enjoyed both movies. I wanted to watch Avengers for the first movie and Hunger Games for the 2nd, but they were playing on two different screens. We were willing to pay twice just so that we could see the specific movies we wanted to see, but one we got there, we realized the way the cars are nestled in together, the logistics of switching screens would be pretty much impossible. Since we are the only people in the Country-Someday-to-be-Named-Panem who still haven’t seen the Hunger Games, I desperately wanted to see that. I figured we’d just suffer through “What to Expect,” but it turned out to actually be really funny. I never thought I’d say this (especially because I’m not keen on the What to Expect book series), but I do recommend the movie, we had a LOT of out-loud laughs. The Hunger Games was, of course, the Hunger Games. Magnificent. I was impressed by how true it was to the book, and how it managed to condense things without becoming confusing to viewers who haven’t read the book. Jennifer Lawrence is so talented. I still think her performance in Winter’s Bone was her shining moment, but she did do very well in the Hunger Games as well. 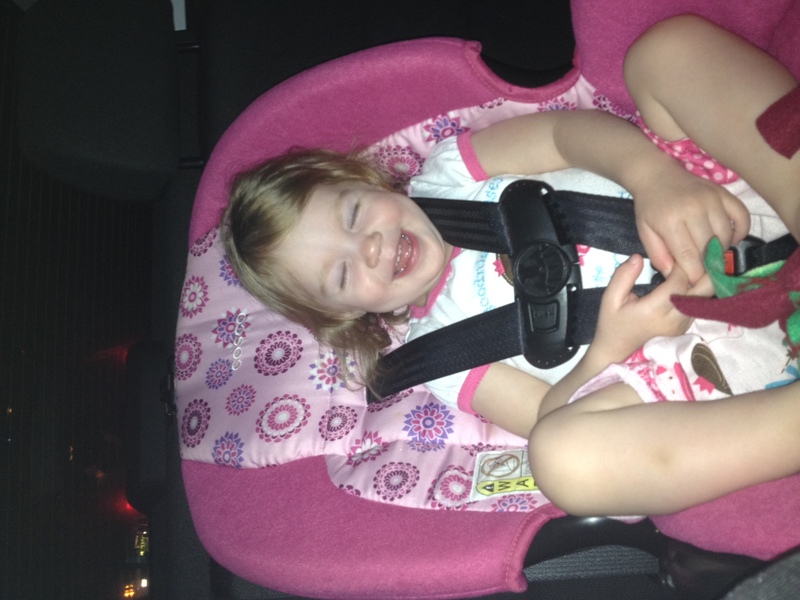 The whole Beez family gives all our thumbs up to the drive-in experience! 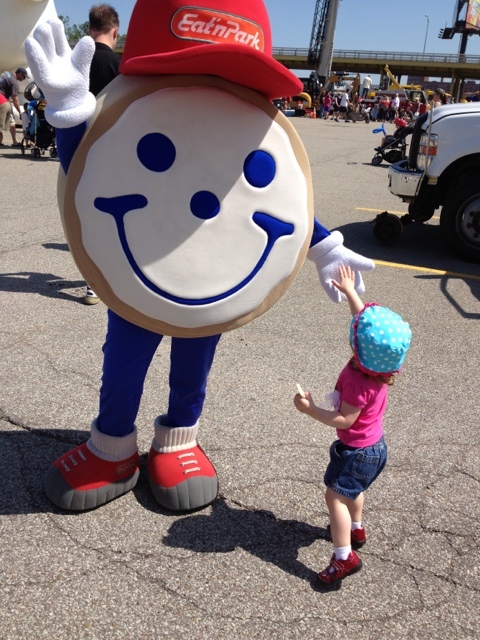 We’re looking forward to many visits back this summer! !